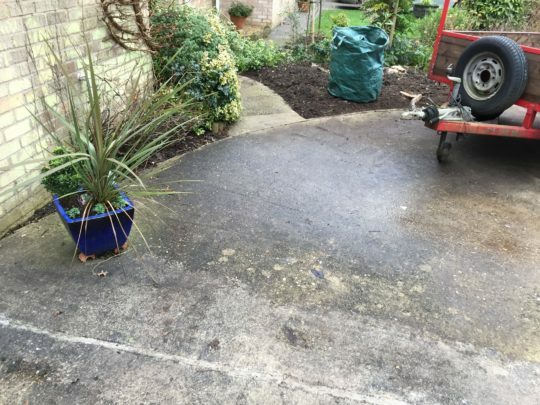 Our client wanted to improve the look of their worn out concrete driveway which was also having some water pooling issues in areas. 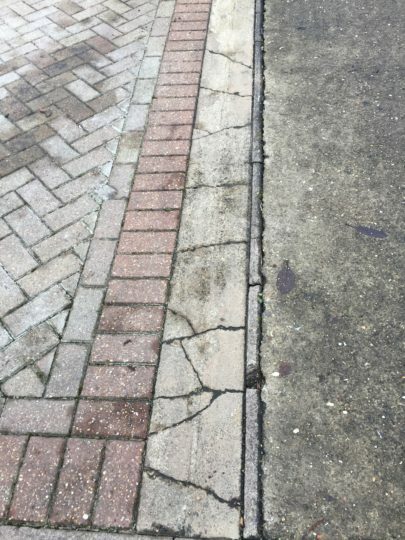 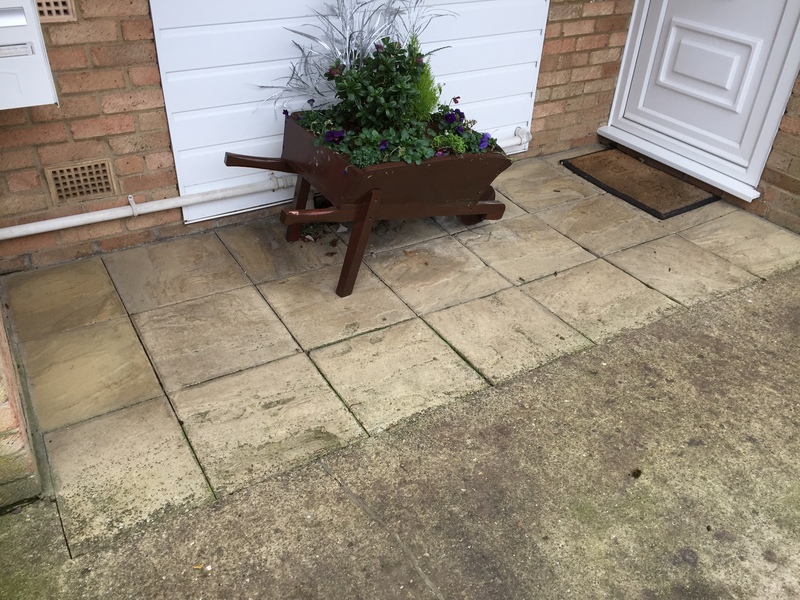 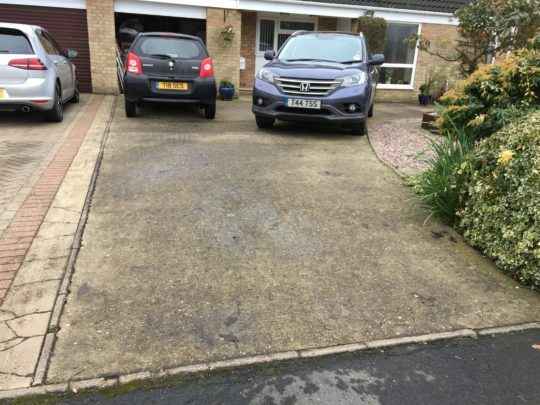 The couple were insistent they didn’t want block paving as their neighbour was constantly having to clean and de-weed theirs and had seen a Resin drive elsewhere which they loved the look of. 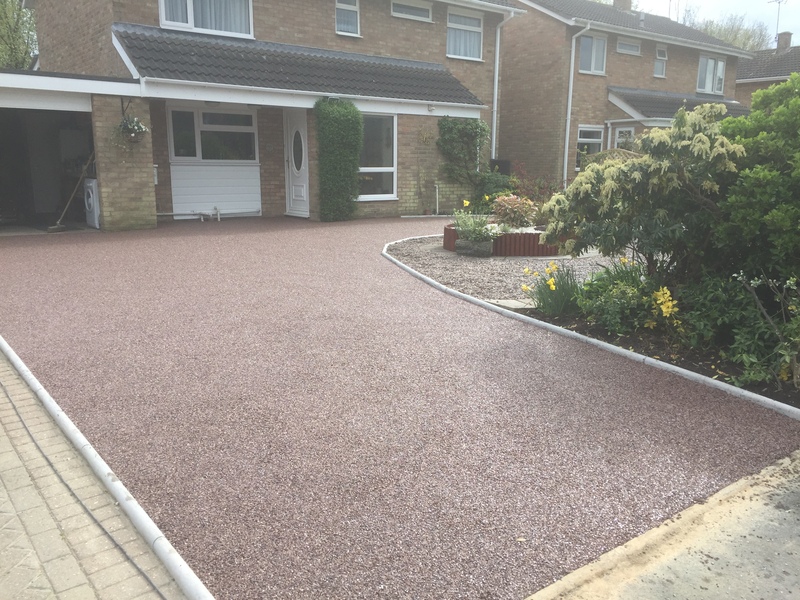 We totally agreed that a Resin bound drive would be the perfect solution especially as the drive was concrete as this would mean we could overlay the resin on top of the current base, greatly reducing the cost to less than what a block paving install would cost. 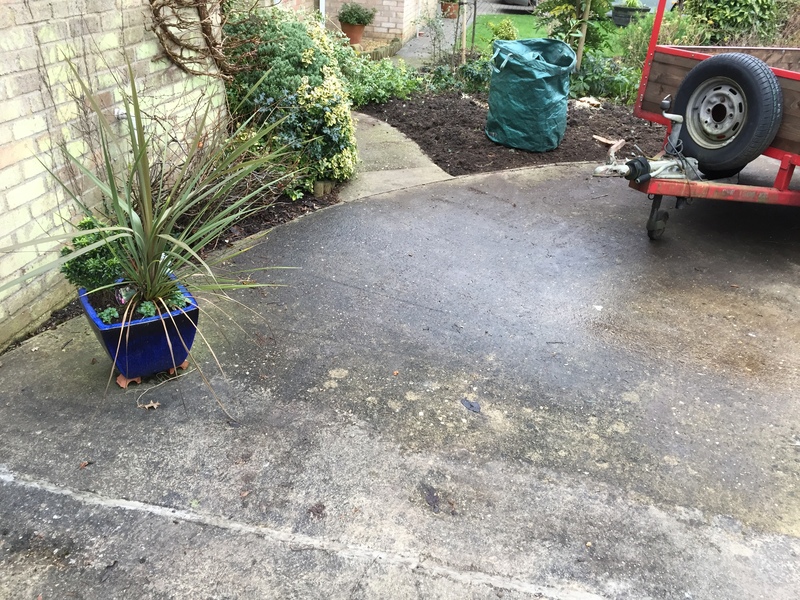 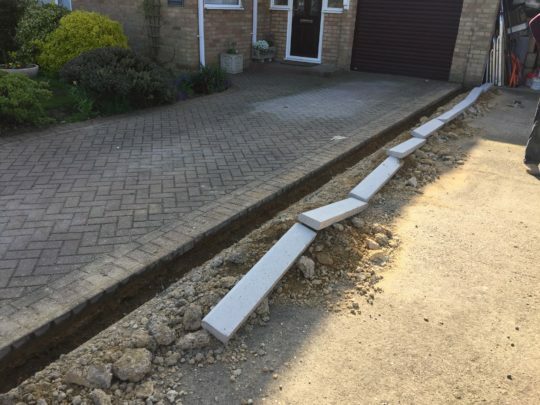 We removed some slabs at the entrance to the house and concreted this small area and also recommended installing some new kerb edgings to brighten up the driveway and meet with the neighbours existing block paving. 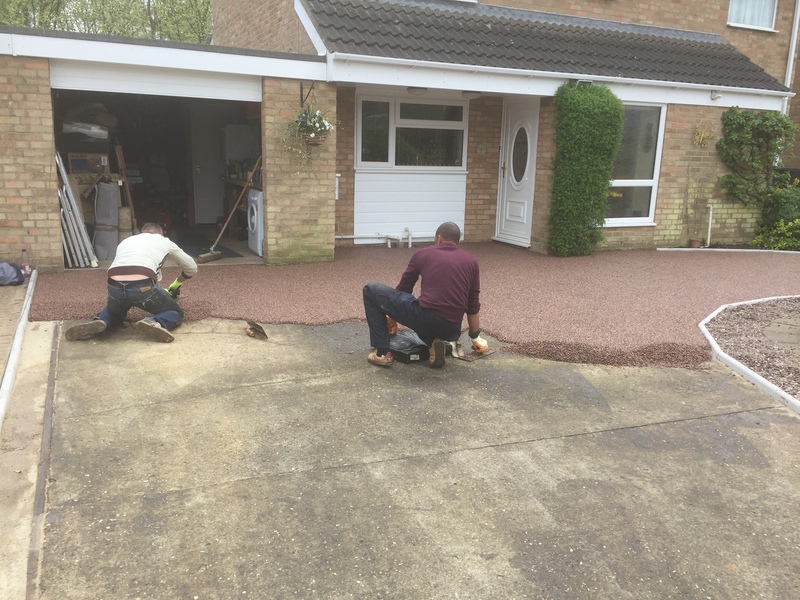 In the photos you can see the difference between the neighbours block paved drive and the new resin driveway which will require next to no maintenance, will not suffer from weeds, moss etc and will eliminate the flooding issues. 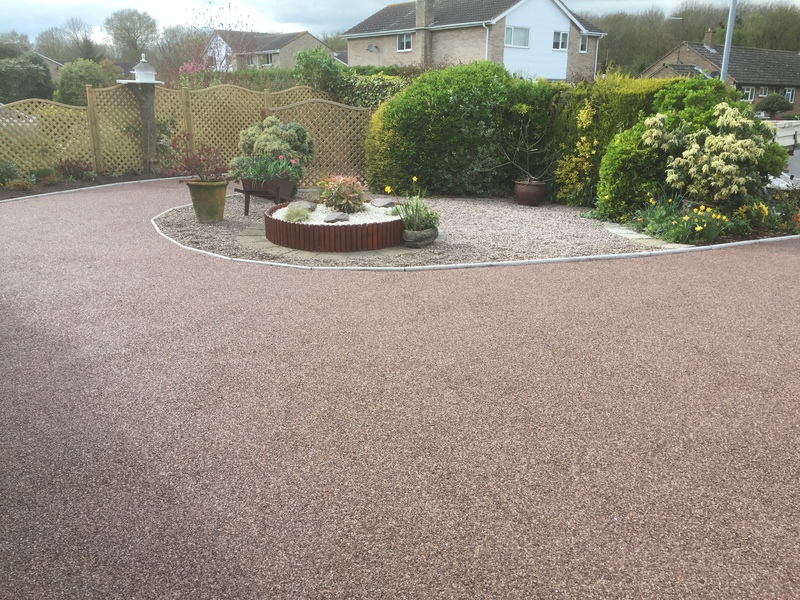 Safe to say our clients were overjoyed with the final result which took just 3 days from start to finish including all the paving work.